Come join us at 7pm for coffee and snacks followed by a single-session bible study along with group discussion. 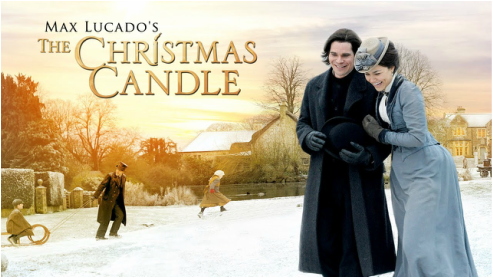 As Christmas drawer near, Jack find himself disconnecting from the holidays, his job and ultimately his wife. His latest assignment as a journalist takes him to a town where he discovers a life-sized, intricately carved nativity scene. As Jack delves into the mysteries surrounding the nativity and its creator, he uncovers secrets from his past, reunites with the family he never knew and returns to the love that never left him. Coffee & tea will be served. Please bring a dessert to share. 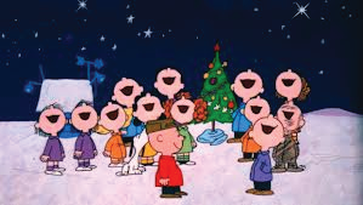 Meet in the Fireside room at 7:00 for a festive Christmas Sing-along. Grab your acoustic instrument (guitar, shakers, cahon, harmonica - you get the point) and your voices for our annual Christmas carol sing-along accompanied by guitars and piano. Celebrate the birth of Jesus. It's time for our Annual Christmas potluck get-together as we celebrate the Reason for the Season! 2. We'll send you the event address and directions. 3. Show up at 6:30pm with an empty tummy and your Christmas baking, appies or dessert. 4. Bring your beverage of choice. Follow filmmaker Darren Wilson as he travels to the darkest spiritual climates on the planet to test the limits of God's love. Review: The first part of the documentary features various Christian leaders talking about how we as Christians should be out in the streets and marketplaces sharing the light of God's love with those who don't know Him, rather than condemning them for a life of sin that most of them are already acutely aware of. All of the stories played out in this documentary are pretty amazing to watch. The conversion of a hindu maharishi guru was particularly heartwarming to me (I'd describe more, but don't want to give spoilers!). 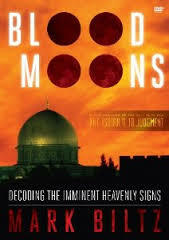 The scenes shot in Jerusalem and the way their time there unfolded was absolutely incredible. The first time I watched it, my hand flew up to my gaping mouth and I gasped out loud. God is amazing and He still works intimately in our lives today, if we let Him! What does the bible say about Spiritual Gifts? Pastor Axel will be enlightening us during his Sunday sermon series from September 9th to October 21st. After listening to the sermons, we will follow along with questions from Pastor Axel on Tuesday evenings where we'll dig in deeper with table discussions of up to 8 people. As always, you can be a 20/20 regular or join us just for a series. message first hand. Can't make it on Sunday? Click here to hear it at least one day later. 20/20 Study starts at 7:30pm on Tuesday evenings. Is time tight after your busy day? You may also sign up for our weekly fellowship dinners starting at 7pm (before the study). We continue to meet throughout the summer. Join us for an evening of games, movies, worship, discussion or thought-provoking films. Weekly sessions are subject to change... we're open to other suggestions! August 7 - Movie night - "War Room"
September 4 - Movie night - "Journey to Grace"
Uncover God’s strategy for change. David Jeremiah draws from Galatians to challenge you to make nine important decisions that will transform your heart, your life, and your world. Move past the discouraging headlines, the adversity in our personal lives, the toils of daily living, the limits of our day. Reach out and grasp a life beyond honourable, beyond respectable, and beyond incredible to a life of blessings beyond our comprehension—a life beyond our dreams. Amazing! NOTE: Alpha @2020 is designed for adults and targets people living on the North Shore. Other Alpha's are running for specific ages and in various areas. Click this link to find an Alpha near you. Do you wonder if there REALLY is a God? but what significance does he have after 2000 years? We all eventually die... what happens next? ... come to the Fireside Room at West Van Baptist as we explore answers about life and death, faith, God, purpose and more! You'll find a welcoming and non-judgemental atmosphere. Each session looks at a different question, and is designed to create conversation. It’s an open, informal, and honest space to explore and discuss life’s big questions together. There’s no pressure, no follow-up, and no charge. Join us for a delicious dinner before each session, starting at 7pm. It's a great, informal way to "break the ice" over "breaking bread" together. The meal is free to all new participants. The 30-minute talks are designed to be engaging and inspire conversation. A very important part of Alpha is the chance to share thoughts about the talk... without being corrected or judged. There’s no obligation to say anything. It’s an opportunity to hear from others and contribute your own perspective. Jan 2: Is There More to Life than This? Jan 9: Who is Jesus? Jan 16: Why Did Jesus Die? Jan 23: How Can I Have Faith? Jan 30: Why and How Do I Pray? Feb 6: Why and How Should I Read the Bible? Feb 13: How Does God Guide us? Feb 20: Who is the Holy Spirit? Feb 27: What about the Church? Mar 6: Why and How Should I Tell Others? As part of the Alpha Course, you will have the opportunity to sign up for a weekend away in Whistler where we'll continue exploring. This fun, informal weekend will deepen our understanding of the Holy Spirit as our relationship with God goes to a more personal level. The relaxed pace will allow for plenty of discussion, free time and building friendships. Although we encourage everyone to attend the weekend retreat it is not a requirement of the course. Limited to 16 participants. Individual beds in "guys & girls" rooms; married couples can request a private queen room. Payment will reserve your spot. A refund will be given only if your spot is rebooked. Please ask about the possibility of a partial subsidy, if required. 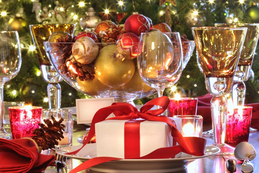 Christmas 2017 events - celebrate the Reason for the Season! The sign-up has passed - this is now a closed event. We'll have Chinese food, potluck snacks & desserts, games, movies and lots of talk and laughter (as we tend to do). It's time for our Annual Christmas party! Bring an empty tummy and your Christmas baking, appies or dessert and come along to our festive annual potluck Christmas get-together as we celebrate the Reason for the Season! Richard (Richard Thomas) and Keri (Annette O'Toole) have moved to a new city near ski country. They sold their house in order to get Richard's ski shop off the ground. Now they live in a cramped apartment with their daughter, Jenna. Keri answers an ad for a couple needed to take care of an older lady in her home. The home turns out to be a mansion, and Richard and Keri are chosen as her caretakers. They are given a wing of the large home for their quarters and her duties are not very taxing. Keri is ecstatic! But, the lady of the house is sad and lonely and harbors many secrets. Richard begins to have strange dreams, and there is a mysterious music box in the attic that randomly plays music on its own. What is going on here? This is a lovely story about love, family, and friendship. Thomas, O'Toole, and Maureen O'Hara are excellent as the key players, who learn valuable lessons in giving and receiving love. The script is humorous and heart warming. Watching this movie should be an annual tradition. It upholds the values everyone should hold dear. Popcorn, coffee & tea will be provided. Bring along a dessert or snack to share. "Good morning! You’re beautiful with God’s beauty, Beautiful inside and out! God be with you." “Mary, you have nothing to fear. God has a surprise for you: You will become pregnant and give birth to a son and call his name Jesus. will be called Holy, Son of God." 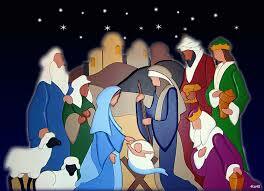 Peace to all men and women on earth who please him." If you begin with the first verse of Genesis and go to the end of Revelation, you’ll find more than 600 references to the word heaven. Each of these uplifting texts affords “insider information” about God’s glorious habitation and the eternal home of His children. The reality of heaven doesn’t just help us die more peacefully; it helps us live more joyfully and productively. C.S. Lewis said, If you read history you will find that the Christians who did most for the present world were just those who thought most of the next. What we think about heaven determines how we live today. 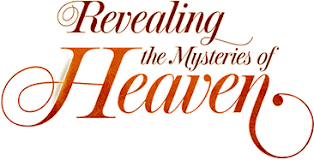 Dr. David Jeremiah says, "I can tell you from my own personal experience and from my years of pastoral ministry and Bible teaching, when you study the biblical doctrine of heaven it will stir your heart and change your thoughts. This teaching on heaven will whet your appetite and direct you to key passages in the Bible you’ll want to study on your own. Yes, goodness and mercy will surely follow us all the days of our lives. But what we’re really looking forward to is dwelling in the house of the Lord forever...and seeing what’s up with heaven!" Join us for an evening of games (outdoors and indoors), movies, worship, discussion or thought-provoking films. Each week is a separate event. July 11 - worship & large group study - Joshua 1:1-18: "Change"
July 25 - worship & large group study - Joshua 2:1-24: "Rescue"
August 22 - worship & large group study - Joshua 3 & 4:1-8 "Provision"
September 5 - worship & large group study - Joshua 5:13-6:27 "Barriers"
September 12 - worship & large group study - Joshua 7:1-26 "Consequences"
studies ways to live out the gospel in your everyday life. May 9 - Session 1 - City: The World that Is - you will learn what cities were designed to be. May 16 - Session 2 - Heart: Three Ways to Live - you will study the Parable of the Prodigal Son to view two ways to live life on your own. May 23 - Session 3 - Idolatry: The Sin beneath the Sin - you will discover the one fundamental of your happiness. May 30 - Session 4 - Community: The Context for Change - you will discover how you can show the world that you are a follower of Christ. June 6 - Session 5 - Witness: An Alternative City - you will learn the attributes that a church needs to show the world Christ's love. June 13 - Session 6 - Work: Cultivating the Garden - you will discover how to realign your life in light of the mission of the kingdom of Christ. June 20 - Session 7 - Justice: A People for Others - you will learn whom God wants you to be engaged with to show his love. June 27 - Session 8 - Eternity: The World that Is to Come - you will study the Bible’s description of heaven. "explore how the gospel can change your heart, community, and how you live the Gospel out in everyday life"
"Join author and pastor Timothy Keller in this eight-week small group Bible Study to explore how the gospel can change your heart, community, and how you live the Gospel out in everyday life. In week one your group will study the city, your home now, the world. Week eight closes with the theme of the eternal city, your heavenly home, the world that is to come." "... something different that goes a little deeper and makes you think. This study presents the gospel in a fresh new way that at times stopped us in our tracks and made us reconsider certain bible passages. The author teaches a new perspective on living the gospel and our group had some great discussion as a result. I would highly recommend this study for any group who likes to be challenged..."
“... there is much to reflect on, discuss, pray about, and share with others. Tim Keller is brilliant and knows how to speak to people of all walks of life. I highly recommend..."
"Our group consisted of lawyers, doctors, teachers, and other professionals who needed something "meaty" and thought provoking. This study met our needs beyond our expectations. Some of us had never heard of Tim Keller but were blown away by his brutally honest and out of the box thinking approach. We had many "aha" moments and enjoyed discussing our thoughts and opinions based on the teachings of Tim Keller. It allowed us to engage in deep conversations on how we view our city and the roles we play in it. I highly recommend. The Prophets: God Talks Back". This 8-week dvd and discussion series by Philip Yancey takes a close look at the Bible that Jesus used, quoted, read and loved. Like most Christians, I have been baffled and disturbed by parts of the Old Testament. Its books comprise the majority of the Christian Bible, but how should we read them? I select sample books (Deuteronomy, Job, Ecclesiastes, Psalms, Prophets) and describe how I have struggled and then come to terms with each. In the process my own understanding of and appreciation for the Old Testament undergoes a startling change. The Old Testament is not a mysterious, outdated book. 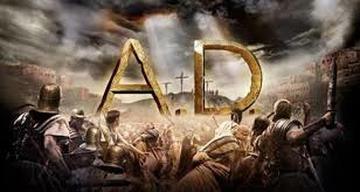 It is God’s biography, the story of his passionate encounters with his people, and the prequel to the story of Jesus. It is also the Bible that Jesus read, used, and loved. I probe seven representative books–Job, Psalms, Deuteronomy, Ecclesiastes, and the Prophets–and discover that the Old Testament deals in astonishing depth and detail with the same questions we face today. Ephesians deals with topics at the very core of what it means to be a Christian, both in identity and in action. During November we will follow Ian Lopez's sermons as a springboard for further study and discussion. Join a consistent discussion table for the series, or join a "drop-in" table. We'll take a break for Christmas festivities and pick up the series again in January. Join in the festivities this December! PLEASE NOTE: we need to know numbers ahead of time. Please email us or see "events" and sign up to let us know you're coming! Bring your acoustic instrument (guitar, shakers, cahon, harmonica - you get the point) and your voices for our annual Christmas carol sing-along celebrating the birth of Jesus. O Holy Night, Go Tell It on the Mountain, Angels We Have Heard on High, O Little Town of Bethlehem, Hark the Herald Angels Sing, Silent Night and many more! 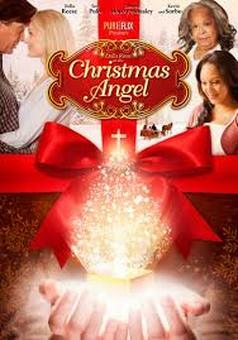 Bring your family and friends to see THE CHRISTMAS ANGEL movie to kick off the holiday season! This Christmas, Olivia Mead has one wish: that her single mom (Teri Polo) would find someone that she can call “Dad”. She and her classmates start to believe that the answers to all their wishes may lie inside a mysterious abandoned house. Within the house they discover Elsie Waybright (Della Reese), the Christmas Angel. Elsie tries to teach Olivia that some requests must be left to God. As Christmas day approaches, Olivia receives an unwelcomed answer, the suspicious Dr. Nathan Davis (Kevin Sorbo). This Christmas, will Elsie be able to teach Olivia and her friends to trust in God? What does Jesus ask us to do? Did you join us on August 9th for the Lee Strobel film "The Case for Faith"? If so, you'll know that there was SO much information that we were only able to scratch the surface on this subject. On September 6th and 13th we'll dig deeper into the subject of FAITH in table discussions. Neil will facilitate on September 6th. Thanks to Bob for facilitating on September 13th (while some 20/20 members are off on the BC Motorcycle Tour). Note: there will be a POTLUCK DESSERT evening on the 13th. Dinner will NOT be served. We continue to meet throughout the summer. Join us for an evening of games (outdoors and indoors) or thought-provoking films by journalist and author Lee Strobel: The Case for Christ, The Case for Faith and The Case for a Creator. Watch this short YouTube clip by Lee Strobel. The documentary The Case for Christ follows reporter Lee Strobel as he interviews a number of religious and historical scholars in order to find out if there is any proof of the resurrection, and to discover the historical veracity of the New Testament. In trying the case for Christ, Strobel cross-examined a number of experts and recognized authorities in their own fields of study. He conducted his examination with no religious bias, other than his predisposition to atheism.Remarkably, after compiling and critically examining the evidence for himself, Strobel became a Christian. Stunned by his findings, he organized the evidence into a book he entitled, The Case for Christ, which has won the Gold Medallion Book Award for excellence. Strobel asks one thing of each reader - remain unbiased in your examination of the evidence. Lee Strobel draws the viewer into an interesting discussion about faith in Christ as the one true answer in the world of religions. Strobel examines the tough objections to Christianity, specifically the issues of Christians stating that Christ is the only way to heaven, and why there is evil and suffering in the world, if a loving God created it. Interestingly, Charles Templeton, who used to preach with Billy Graham, shares how he once reached throngs of people with the gospel, but how he began to lose his faith as he asked himself the aforementioned questions about God and evil in the world. John 14:9 is used in the program: "He who has seen me, has seen the Father." Strobel interviews various biblical professors and scholars and also Joni Eareckson-Tada, whose diving accident in 1967 left her paralyzed yet her faith in Christ over the years has remained intact. Indeed, it seems to have deepened more as the years have gone by. She shares the things she has learned and how she has learned to listen for God's voice during the still times. Our culture is obsessed with lifestyle. Magazines and websites tell us what to wear, how to get fit, what to drive and how to love. Everyone wants to tell us how to live our lives. Jesus didn't leave us a lifestyle magazine... He sat down on a mountainside and began to teach. How to deal with anger. How to handle money. What to do when faced with difficult people. Simple, memorable and profound. Jesus' words in the Sermon on the Mount are as relevant and as challenging today as they were 2,000 years ago. In this engaging study, Nicky Gumbel takes a closer look at the Sermon on the Mount and presents the life that Jesus wants us to live. What is your attitude toward money and ambition? Jesus teaches us how we can use our ambitions to invest in the kingdom of God. Explore prayer and fasting with an emphasis on the importance of these activities in our relationship with God. What does the bible say about giving? Our motive for giving should always be to glorify God. Follow Jesus' example with five practical ways to love our enemies. As Christians, we need to focus on the right relationships and forgive as we have been forgiven. Using Jesus' teaching as a framework, challenge yourself to go against the grain of society and respond to those who hurt us with an attitude of radical love. Let your "yes" be your "yes" and our "no" be your "no". True integrity is when our lives, words and hearts are totally aligned. Peter and the other apostles? Fortunately, it's all written out for us in the Bible! Join this 8-week study about the nature and ministry of Peter, who was a pivotal character in the formation of the early church. April 5: Who was Peter? Overview of his history, his nature, how he came to know Jesus and his ministry after Jesus' resurrection. If you want to act holy, you have to learn to think holy. When you make a split-second decision, do you do the right or the wrong thing? Learn to live a life of integrity and become obedient to God. 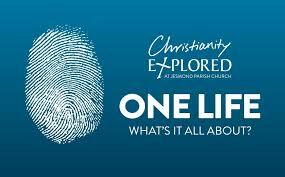 Mastering the Christian life is like mastering other things: it's a matter of doing the basics again and again. If you refuse to become consumed with revenge, but become consumed with forgiveness, you will experience God's grace powerfully. By working toward peace with each other we honour God. Things can get tough from time to time, but you can prepare yourself for the difficult days ahead. God hones us through tough times. Whatever difficulties we face God will reward us for our faithfulness and obedience. Trust God with it all. Dr. David Jeremiah's study guide has received great reviews alongside the 12-week mini-series A.D. The Bible Continues (originally produced through NBC). Our study will follow the disciples as they go forth into Jerusalem and beyond to spread the news of the risen Christ, which led to the birth of the Christian church. As the number of followers of Christ multiplies and the disciples meet different fates, the early Christian church is formed. Each week a Biblical story is retold with additional information on the traditions of the day and the culture of the people, as well as insight from Dr. J explaining the events in more detail. Selected bible verses and input from various thologians are woven into the narrative. Dr. Jeremiah uses examples from current times to connect to the message of Scripture, with an application to our own lives and an urging to serve just as the apostles did. We'll see how the disciples struggled to serve their Lord amidst a world of conflicting cultures, building a following for Christ despite some opposition to their evangelism. Join us for this exciting series! Join Eunice around the piano as we join our voices in the singing of cherished Christmas carols celebrating the birth of Jesus. O Holy Night, Go Tell It on the Mountain, Angels We Have Heard on High, O Little Town of Bethlehem, Hark the Herald Angels Sing, Silent Night and many more! During this study we ask that people try to arrive promptly in order to have everyone view the video and be able to participate fully in the discussion that follows. Have you heard any of these statements from friends, family or co-workers, even on tv? 1: Hasn't science disproved Christianity? Isn't the bible only a myth? How can you take the bible literally? 2. How Can You Say There Is Only One Way to God? What About Other Religions? 3. What Gives You the Right to Tell Me How to Live My Life? Why Are There So Many Rules? 4. Why Does God Allow Suffering? Why Is There So Much Evil in the World? 5. Why Is the Church Responsible for So Much Injustice? Why Are Christians Such Hypocrites? 6. How Can God Be Full of Love and Wrath at the Same Time? How Can God Send Good People to Hell? 1 Peter 3:15 tell us "Always be prepared to give an answer to everyone to give you the reason for the hope that you have. But do this with gentleness and respect." In this series the questions are asked, and gain insight into the answers through our table discussions, with gentle leading from Tim Keller. September 15 - October 13: Who is This Man? In this five-session DVD-based small group bible study, Who Is This Man?, John Ortberg reveals how Jesus made an inescapable influence on our world and, through Him, we will learn how we can influence our world, too. Who Is This Man? illustrates how Jesus’ influence has swept over history, bringing His inspiration to the evolution of art, science, government, medicine, and education. And how His vision for us to lead lives of dignity, compassion, forgiveness, and hope continues to inspire and challenge humanity today. The Man Who Won't Go Away. Why It's a Small World After All. Three Days That Changed the World. Our 20/20 Community continues throughout the summer. Whether you're a regular, looking for a Christian community to belong to, or part of another 'home group' who is taking a break for the summer you are welcome to drop by for an evening of fellowship. Unless noted, we meet in the Fireside Room at West Van Baptist. Everyone is Thirsty but there is only one that can TRULY SATISFY. As followers of Jesus, we know that He alone can quench our thirst for comfort, peace, healing and meaning. However we also know there are many people who have not discovered the Living Water that Jesus offers. Our hearts ache for our family, friends, neighbours and co-workers who are separated from God. If you want to share your faith but find it difficult to do in today's culture where many distinct ethnic, religious and cultural groups are present in our society... H20 could be the tool you need to begin sharing your faith with a thirsty world. Sharing your faith never looked like this. H20 is a powerful, visually engaging, group-oriented experience designed to create a safe atmosphere where people are comfortable considering the person of Jesus Christ and growing deeper in our knowledge and faith. Ten stories with one timeless quest - to quench the thirst that burns in every human spirit. Discover how the offer of Living Water has the power to change everything. *JUNE 16: NOTE that 20/20 will be helping to host the Grad Banquet. No bible study. Click here for a link to the movie trailer. How far would you go to defend your belief in God? Present-day college freshman and devout Christian, Josh Wheaton (Shane Harper), finds his faith challenged on his first day of Philosophy class by the dogmatic and argumentative Professor Radisson (Kevin Sorbo). Radisson begins class by informing students that they will need to disavow, in writing, the existence of God on that first day, or face a failing grade. As other students in the class begin scribbling the words “God Is Dead” on pieces of paper as instructed, Josh find himself at a crossroads, having to choose between his faith and his future. Josh offers a nervous refusal, provoking an irate reaction from his smug professor. Radisson assigns him a daunting task: if Josh will not admit that “God Is Dead,” he must prove God’s existence by presenting well-researched, intellectual arguments and evidence over the course of the semester, and engage Radisson in a head-to-head debate in front of the class. If Josh fails to convince his classmates of God’s existence, he will fail the course and hinder his lofty academic goals. With almost no one in his corner, Josh wonders if he can really fight for what he believes. Can he actually prove the existence of God? Wouldn’t it just be easier just to write “God Is Dead” and put the whole incident behind him? GOD’S NOT DEAD weaves together multiple stories of faith, doubt and disbelief, culminating in a dramatic call to action. The film will educate, entertain, and inspire moviegoers to explore what they really believe about God, igniting important conversations and life-changing decisions. Are you too distracted to hear what God is saying to you? 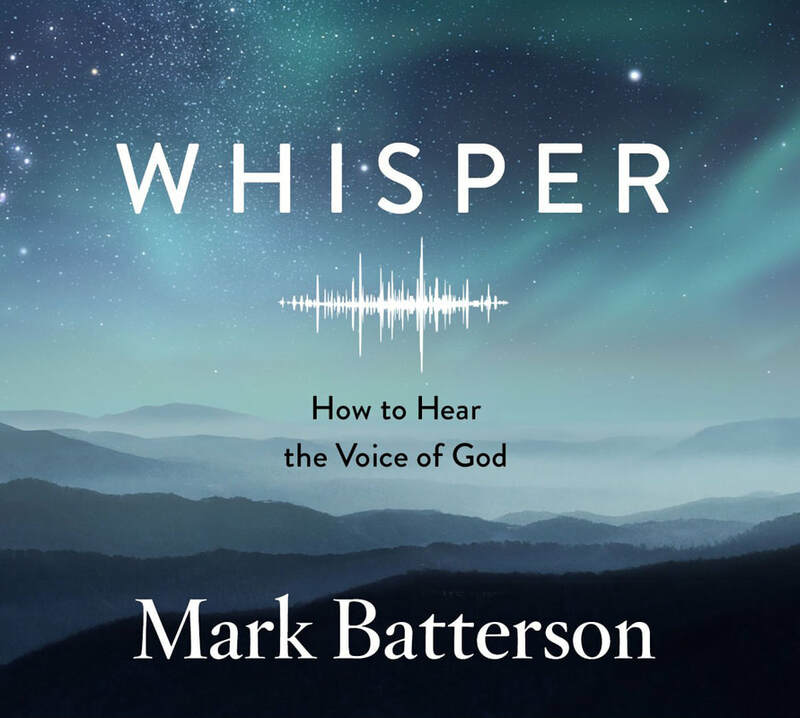 as we listen and discern how God might speak to us. "A picture of the church; two sad Christians; talking and reasoning; a modern example; fools and slow of heart; slow to believe; hearts burning within; shake off lethargy!" This is an audio presentation followed by discussion facilitated by Neil Yorkston. In Genesis, God declared He created the sun and the moon to be for signs. These heavenly bodies would be used as signals of coming dramatic historical events when the Creator of the universe would intersect with human history. But how do we unlock the code to interpret the signals? Join the 20/20 group for a fun evening of games. For those that prefer to discuss more about the ReFrame series there will be a designated spot for you. We'll also have line dancing! it means to follow Christ in the modern era. The ReFrame film project is a dynamic and thought-provoking discipleship course that helps everyday people connect the Gospel with all aspects of life—everywhere. ReFrame’s vision is to unleash the Church’s missional impact in society by helping ordinary Christians live out the Gospel in their workplaces, coffee shops, gyms, labs, homes, retirement, cities: the whole of life, everywhere. Learning happens best in community, which is why ReFrame is designed for a small group setting. You will have the opportunity to choose a group of others who are in a similar life stage as you for discussion purposes. Jesus Christ is Lord of all creation. ReFrame explores how the gospel of Jesus Christ impacts our daily life as individuals, communities, and societies. RSVP by Jan 7th and note if you would like to reserve a copy of the Guide Book: "Full-colour Participant Guide designed for participants to use alongside the ReFrame DVD. Guide includes recommendations for group format, discussion questions, activities, lecture outlines, and space for notes and reflections." Please consider joining us for the entire 10-week series (or as many as possible). This will help with discussion continuity with your small group table. There will be a table for group discussions with occasional attendees. 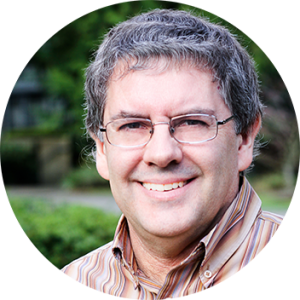 We'll join Bible teacher Joe Amaral via DVD as he steps into the First Century world of Jesus to glean new insight into the life and times of Christ! Explore the prophetic nature of the biblical feasts and how they still speak to believers today. What Christ did at His first coming and what He will do at His second coming are clearly pictured within the nature of the feasts. In the spring feasts we will see how unleavened bread spoke of the sinless nature of Jesus. We'll examine first fruits and Pentecost and discover how God keeps His promises. Fear and confusion concerning the end times will melt away when we explore Biblical prophecies and how they relate to the Fall Feasts. See how the Feast of Trumpets is a picture of the rapture of the church. See how the Day of Atonement is a beautiful picture of the second coming of Christ to judge the nations, and finally how the Feast of Tabernacles points to Jesus as the fulfillment of God's desire to tabernacle once again with man. From Passover to the Feast of Tabernacles, we'll see how Jesus is clearly portrayed as the Messiah and soon-coming King! Join Bob Kruse (facilitator) and Norman Archer (pastor extraordinaire) for an in-depth 5-week study on 1 Peter. Read the chapters in advance, then come prepared with questions for Norman. Yes! We keep on meeting throughout the summer! You're welcome to come just for the summer if your regular home group is taking a break. With many people coming & going in the summer, each Tuesday night will be an individual event ranging from bible studies to games nights to though-provoking movies. So join us without missing out on a series study. Today more than ever Christians are called to rise above their natural instincts and live a supernatural life—conquering sin, persevering through suffering, and trusting in God’s providence. This series will put you on the path to winning your battle against deep-seated sin, squaring off against legalistic dos and don’ts, and standing firm amidst opposition. Join together as we experience life-change, practicing the principles Chuck Swindoll gives in this series based on Romans 6–8. You’ll find it’s the perfect remedy for supernatural living in a secular world. In this 5-week series we will study biblical truths delivered by Chuck Swindoll via a DVD message, followed by small group table discussion. Romans 1–5 clearly declares that those who accept Christ through faith alone are no longer under the penalty of sin. But how can salvation from the power of sin become a reality in daily life? In Romans 6:1–14, Paul sets forth the truth of the Christian’s identity with Christ’s death and resurrection, including three practical responses to this truth: know your identification with Christ, consider yourself dead to sin and alive to God, and present yourself to God as alive from the dead. Though Christians are free from the Mosaic Law as a means of righteous living, that immovable standard of holiness still reminds believers that we are sinners in need of grace. And though we have been declared “not guilty” because of Christ’s death and resurrection and given the Spirit to do good, Christians still do wrong! We’re not short on desire to do good, but when it comes to pulling it off, why do we keep blowing it? Paul answers this question in Romans 7. The old saying goes, “It’s always darkest before the dawn.” Those words summarize the transition from the darkness of Romans 7 to the light of Romans 8. God not only rescues us from sin, but He also gives promises of assurance. Romans 8 offers great news: the victorious Christian life is possible through the power of Him who lives within us. The secret lies in allowing God’s Spirit to take control and change us from within. Some Christians expect a “cloud nine” experience of uninterrupted peace, pleasure, and prosperity. But to keep things real, Paul introduces the other side of life—“groaning” (Romans 8:18–23). As long as we dwell in this world, believers will discover that suffering is a vital part of the spiritual journey toward maturity. And just as believers long for the day when their suffering in this world will come to an end, all creation itself waits to burst forth someday into a glory never experienced since the garden of Eden. The apostle Paul offers some of the most powerful and comforting words in all his writings in the second half of Romans 8, reminding us of God’s magnificent providence. For those who believe in both the goodness and greatness of God, His providence over all things becomes a comfort and encouragement. God attends to every detail, is never caught off guard by tragedies, and works all things out for our ultimate good and His greatest glory. This truth has not only profound implications for our salvation but also practical implications for our daily walk. In AD 60–61, Paul wrote this letter to the Colossian church after he had received a report that they were struggling with their faith. They were hearing dangerous teachings that threatened the very foundation of Christianity. False teachers preached that Jesus was not actually God. Though Paul had never actually been to the church, he addressed these issues head-on. The nature of Jesus Christ as Creator and Redeemer was nonnegotiable. Following his own personal experience with the risen Christ, it was critical that they also saw Jesus in His greatness and glory - Paul's wisdom was sure to help them in this trying situation. This report was written when Paul was first imprisoned in Rome. Reading his introduction and closing remarks in this letter indicates that he planned to minister to them with his guidance, insight and wisdom. Peaks. Valleys. Plateaus. Wildernesses. Israel’s terrain is much like our own spiritual journeys. 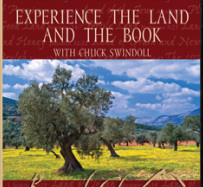 Chuck Swindoll's video series takes us on location in Israel. We will gain fresh insight into significant biblical people and events that impact our lives today. Each session in this teaching series showcases a different historically important venue from the Sea of Galilea to Jerusalem. Each dvd topic will be followed by a time of discussion. This series will be a great preparation time for those of us planning to attend the Israel tour in October. January 14: Saul: A Study in Tregedy. A special grief exists when a life is not well lived. We love to celebrate the stories of those who have finished well. But of those whose lives bear the consequences of poor decisions and slow erosion, we sadly sigh and wonder what could have been . . . and then, in personal, private moments, we wonder how our lives will end. Will we finish well? Are we on a good track? Discover from the tragic life of one of the Bible’s greatest examples of failed potential just what it means when we don’t take God seriously. January 21: The Beatitudes: Lessons By the Lake. Jesus could not have picked a better place to sow seeds of faith than on the hill now called the Mount of Beatitudes. On a carpet of wildflowers and scrub, the people sat captivated, amazed at this Teacher. While rabbis of the day taught the finer points of Mosaic Law, Jesus’s message touched the heart. The rabbis’ endless, dusty rhetoric said little; Jesus’s few words altered the way the people understood life. Jesus’s words, ignited by the Spirit of God, still cut through the stuff of life and call us to live as God intends for us to live. January 28: Releasing Our Burdens Beneath the Waves. Great things happen on water... treacherous things too. Both occurred the night after Jesus’s miraculous feeding of more than 5,000 people. Jesus' band of frightened disciples, shook with terror in a storm-tossed boat on an inky-black sea. Why were they afraid? Weren’t they eyewitnesses to His miracles? Mark 6:52 records a heartbreaking moment in Scripture: “[the disciples] had not gained any insight from the incident of the loaves, but their heart was hardened.” It took a storm to teach the disciples a valuable lesson. What will it take for you to surrender to Jesus in faith? February 4: When Jesus Stopped to Pray. The hardest work we can do is “knee” work. We’ll find anything else easier to do than pray. Yet Jesus not only told us that men “ought to pray and not to lose heart” (Luke 18:1), He showed us by praying Himself. One with the Father, Jesus still felt the need to pray — and He prayed all the time. When he was in Gethsemane, before the soldiers came for Him, Jesus let us eavesdrop on His talk with the Father. It is truly “the Lord’s Prayer.” Found in John 17, it is one of the most remarkable and longest intercessions in all of God’s Word. February 11: A Place for Pondering and Praise. The central narrative of Scripture, past present and future, revolves around the city of Jerusalem. Yet only on one event does history swing on its hinge: the weekend when Jesus Christ suffered, died, and rose again, according to Scripture. And it happened in Jerusalem. It’s at the cross of Jesus Christ that life begins. And when we talk about His resurrection, we move from today into eternity. The death, burial, and resurrection of Jesus Christ make up the most critical event in history — one worthy of our pause, our pondering, and our praise. February 18: A Captive's Call to Freedom. Along the beautiful Mediterranean lies the coastal city of Caesarea. Caesarea was the official seat of government, a busy port, and a naval base for the powerful Romans in the province of Israel. On the grounds of the seaside palace called Herod’s Praetorium, the apostle Paul was unjustly imprisoned from AD 58-60. Through a curious chain of events, Jerusalem’s authorities brought Paul here to appear before the Roman magistrate on three trumped-up charges. Paul modeled for us how a thinking, believing follower of Christ can defend himself or herself against criticism. Happy New Year! We'll be meeting in the fireside room, as normal. Humility and Integrity: video & discussion. 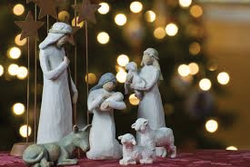 Bring a friend, or your family as we celebrate 'The Reason for the Season!" December 3: Movie: "The Perfect Gift" A story of faith tradition & the real meaning of Christmas. December 10: Good Old Fashioned Carol Sing-along - grab some cocoa, gather around the fire & sing favourite Christmas carols! Please bring an appetizer or dessert. December 24 Being Christmas Eve we encourage you to attend one of the services in the Main Sanctuary at either 7:00 pm or 11:00 pm. December 31 New Years Eve party at Virginia & Neil's house. BE RENEWED. Love, Joy, Peace, Patience, Kindness, Goodness, Faithfulness, Meekness, Self Control. All of us desire to exhibit these qualities in our lives. But what does it mean to "live by the Spirit"? The fruit of the Spirit is the result of the inner workings of God, but it is also a product of our response and understanding. It comes from obedience as well as dependence. Stuart Briscoe invites us to study more deeply the relationship between believing and behaving. We will find a deeper understanding of Galatians' Fruit of the Spirit, using passages from both the Old and New Testaments, giving us encouragement and insight into what it means to live as Christ did. September 24: LOVE - "Love each other as I have loved you"
How is the meaning of love created confusion in your own life? How can we remain in God's love? What does it mean to you that Jesus has chosen you to bear fruit? What are ways that you can obey the command in John 15:17? How has the meaning of love been expanded when you read through the verses in Mark? Rewrite Mark 12:30 in your own words. Think about having love for God, yourself and those around you - how are they bound together in the Spirit life? Think of something YOU can do to respond to loving those hurt around you. October 1: JOY - "In Him our hearts rejoice"
Read Psalm 33:1-11 & 20-22; Peter 1:3-9 During what times in your life have you experienced joy? What triggers feelings of joy? How do you express joy? Can we experience joy while going through trials and suffering? (Why or why not?) How do other factors relate to joy, such as peace, faith, praise? October 8: PEACE - "The Peace of God will guard your hearts"
Read Romans 5:1-8; 11:16-21; Philippians 4:4-9 In your own words, describe what these passages say about peace with God. What are your stumbling blocks for living in peace with others? How does having God's peace affect your relationships? How is God's view of peace different than the world's view? How would God want us to react when others do not reflect peace? Are there times that it is appropriate to not be peaceful? 1. What was the setting for our Lord’s parable? (18: 21-22). Could 18:1 have anything to do with it? (a) the king and the servant “who was brought to him”? (b) the first servant and his fellow servant? (c) the group of other servants? 3. What is the point of the story? Does it help us to understand the abstract noun “patience”? 4. The KJV translation of the Greek word for patience— long-suffering makrothymía (from makrós, "long" and thymós, "passion, anger") – properly, long-passion, i.e. waiting sufficient time before expressing anger.). If in English we had an adjective 'long-tempered' as a counterpart to 'short-tempered,' then makrothymia could be called the quality of +being 'long-tempered'. . . . which is a quality of God (LXX, Ex 34:6)" (F. F. Bruce, Commentary on Galatians, 253). 5. Who is the king in this parable of the kingdom? How does God express “both wrath and patience”? What is the relation between God’s wrath and God’s love? 1. Setting. (a)To whom is this written? (3:1, 3:12). Is that us? ii. The twin approach: “you have taken off your old self with its practices and have put on the new self.” (3:9, 10). 2. Teaching (12-14) To study these three verses, try Briscoe’s approach to Bible study. What? So what? Now what? * What? What do these words mean? * So what? What is their significance? * Now what? What do they mean in my life? Think of an example of someone you know who was kind. What was the reason for the kind act? What was the effect? Are Christians the only people who act kindly? Let’s look briefly at the Bible’s teaching, a practical example from the Old Testament, and some New Testament teaching. (NIV) Be kind and compassionate to one another, forgiving each other, just as in Christ God forgave you. (NLT) Instead, be kind to each other, tenderhearted, forgiving one another, just as God through Christ has forgiven you. a. Remind ourselves of the background (1 Samuel 20:12-17, especially verses 14, 15, and 42). b. Read 2 Samuel 9. How was David kind to Jonathan’s son? What were the reasons for David to be kind to Jonathan’s son? What were the effects of David’s kindness? How has God been kind to us? What are the reasons for God to be kind to us? What are the effects of God’s kindness? 4. Return to “Truth in a nutshell” (Point 1 above). What are the reasons for us to be kind to each other? Does the verse summarise what we have learned? Intro: What do we understand by “good”? What does Psalm 100 tell us about God’s character? What evidence does the writer give? What effect does that have—On the writer? On us? What does this Scripture teach us about human nature? Where is the battle ground between the forces of evil and good? Do we know that fight? v 21 Do not be overcome by evil, but overcome evil with good. Is the Christian life active or passive? How can anyone have the power to live the Christian life? Then the Lord came down in the cloud and stood there with him [Moses] and proclaimed his name, the Lord. And he passed in front of Moses, proclaiming, “The Lord, the Lord, the compassionate and gracious God, slow to anger, abounding in love and faithfulness...” Exodus 34: 5, 6. When Jeremiah remembers his troubles, which he knows God allows (3:1-18), how does he feel? What does he say to himself? Do we talk like this to ourselves? What does it teach us about the role of feelings and doctrine? 2. Read: Matthew 25: 14-30 The Parable of the Bags of Gold / The parable of the talents / The entrusted talents This is one of a series of parables about the Kingdom of God. What does it mean? Who is the master? The servants? The differing talents entrusted to the servants? Why the differences? (v5) The master who goes away, and returns after a long time? How the servants used the entrusted talents? How the master reacts to the way the servants used the talents? What is the main point? The encouragement? The warning? In what ways does the Holy Spirit enable us to be faithful? 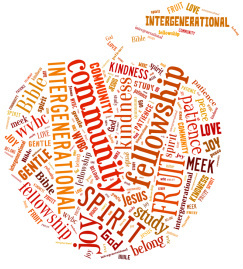 Goal: To learn more about “The fruit of the Spirit... Meekness". Reaction. In a setting like this, how would the world often react? What does this case study teach us about being meek and gentle? What does this incident teach us? For each ask (1) What is the setting? (2). How does the Holy Spirit enable us to deal with it gently and humbly? Action you who live by the Spirit should restore that person gently. But watch yourselves, or you also may be tempted. Action And the Lord’s servant must not be quarrelsome but must be kind to everyone, able to teach, not resentful. Opponents must be gently instructed, in the hope that God will grant them repentance leading them to a knowledge of the truth. Action and humbly accept the word planted in you, which can save you. Action Always be prepared to give an answer to everyone who asks you to give the reason for the hope that you have. But do this with gentleness and respect, keeping a clear conscience, so that those who speak maliciously against your good behavior in Christ may be ashamed of their slander. Remember that your goal is to learn all you can from the Bible passage being studied. Let it speak for itself. Commit yourself to letting God’s Word change you. It’s one thing to believe that Christ died for the sins of the world... But it is entirely different to believe that Christ died for me and then rose again to live within me through his Holy Spirit. We need more than forgiven sins. We need more than conscience or courtesy. We must be born again. We need “a new nature”. The fruit of the Spirit is most definitely the result of inner working of the blessed Holy Spirit... but there is also a human factor. The Christian life “in step with the Spirit” means that we must be “partakers of the divine nature”, 2 Peter 1:4 - see below. We must obey God’s commands to love, be patient, kind, and self-controlled, but we must also depend on God’s power through the Spirit to make it possible. Intro: What do we think and feel about the topic? In what way do our thoughts and feelings need to be transformed by Scripture? 1. What? What does the text say? 2. So what? What does it mean? 3. Now what? What does it mean to me? i. For what purpose did Paul choose to limit his freedom? What range of examples does he give? (9:19-23). What dangers are there in becoming all things to all people? (19:23). ii. The Need for Self-Discipline (9:24-27). Is an athlete’s self-control a good analogy for the Christian walk? task of applying this truth? ii. How do you balance God’s command, “make every effort”, with the work of the Holy Spirit in producing Christian character? iii. During this series, what truth has had the greatest impact on you? In John 14:12 Jesus says "I assure you: The one who believes in Me will also do the works that I do. And he will do even greater works than these, because I am going to the Father. "Finger of God" is the first film in the trilogy that includes Father of Lights that we experienced in May. It opens our eyes to healing miracles happening all over the world. Does God really exist? Prove it! You be the judge! In this fast-moving docu-drama from the makers of the Left Behind series, you'll see the startling new evidence for yourself. Featuring scientists and leading Bible scholars like Peter and Paul Lalonde, Grant Jeffrey, Dave Breese, Dave Hunt, and Chuck Missler, this is one video that you can share with your unsaved friends and loved ones. September 3rd - Norman Archer will be on hand to answer questions you have on God, Jesus, the bible, or life. We expect some lively discussion! (review:) "Two sons, one who kept the rules religiously and one who broke them all. One Father who loved both lost sons beyond anything they could imagine. Discover how deep and far God's grace goes in The Prodigal God. In six captivating sessions, pastor and New York Times bestselling author Timothy Keller opens your eyes to the powerful message of Jesus' best-known---and least understood---parable. The Prodigal God is a revelation of the very heart of the gospel: God's radical love for sinners of every kind. Taking you beyond the traditional focus on the wayward younger son, Keller helps you glean insights from each of the characters in Jesus' parable: the irreligious younger son, the moralistic elder son, and the Father who lavishes his love on both. The gospel is neither religion nor irreligion, but something else entirely. Whether you're a devout believer or a skeptic, The Prodigal God will challenge you to see Christianity in a whole new way." As always, everyone is welcome. We encourage participants to commit to being there each week of the series, if possible. Are you new or just joining us for the summer? Please read our bible study guidelines. (review:) "This book is a refreshing analysis of the life of King David that removes the befogging and often inaccurate aura that frequently surrounds this major Bible hero. It brings David clearly into focus as a very real human being with faults and foibles every bit as startling as his virtues. Here is a challenging new view, sure to generate lively discussion in Bible study groups or family settings." King David is known as "a man after God's own heart". Author and pastor, Norman Archer and his lovely wife, Mary, have joined our 20/20 bible study. As we work through this book largely based on 1 & 2 Samuel, Norman, natural story teller and historian, will give insight into how he would write a little differently about David after 30 years of reflection. I (Virginia) read this book years ago and found it interesting to relate David's relationship with God to my own spiritual journey. I found it hard to put down and was very eye-opening while bringing history to life for me. This is a study that is sure to be interesting on many levels, and reflective. Invite your friends to join us for this series, and to experience being part of our 20/20 community. Study begins at 7:30 pm. March 26, 2013 - film and discussion starting at 7:30 in the Fireside Room. Feb 19 - March 19 2013 - Life Journey with Hugh - discussions on healing, prayer, wisdom. Starts at 7:30 in the Fireside Room - eat dinner first. Dinner will be served again staring in April. September 2012 through February 2013 - Study of Acts continued. Summer Schedule with games, fellowship & conversational topics with answer from the Word. July 10 - start of Summer Schedule - discussion topics & games/fellowship. Book of Acts will resume again in September. An in-depth study through reading various versions of the Bible & discussion notes from the Serendipity Bible Study Book. 13-15 And now I have a word for you who brashly announce, "Today—at the latest, tomorrow—we're off to such and such a city for the year. We're going to start a business and make a lot of money." You don't know the first thing about tomorrow. You're nothing but a wisp of fog, catching a brief bit of sun before disappearing. Instead, make it a habit to say, "If the Master wills it and we're still alive, we'll do this or that." 16-17 As it is, you are full of your grandiose selves. All such vaunting self-importance is evil. In fact, if you know the right thing to do and don't do it, that, for you, is evil. 1-3 And a final word to you arrogant rich: Take some lessons in lament. You'll need buckets for the tears when the crash comes upon you. Your money is corrupt and your fine clothes stink. Your greedy luxuries are a cancer in your gut, destroying your life from within. You thought you were piling up wealth. What you've piled up is judgment. 4-6 All the workers you've exploited and cheated cry out for judgment. The groans of the workers you used and abused are a roar in the ears of the Master Avenger. You've looted the earth and lived it up. But all you'll have to show for it is a fatter than usual corpse. In fact, what you've done is condemn and murder perfectly good persons, who stand there and take it. 7-8 Meanwhile, friends, wait patiently for the Master's Arrival. You see farmers do this all the time, waiting for their valuable crops to mature, patiently letting the rain do its slow but sure work. Be patient like that. Stay steady and strong. The Master could arrive at any time. 9 Friends, don't complain about each other. A far greater complaint could be lodged against you, you know. The Judge is standing just around the corner. 10-11 Take the old prophets as your mentors. They put up with anything, went through everything, and never once quit, all the time honoring God. What a gift life is to those who stay the course! You've heard, of course, of Job's staying power, and you know how God brought it all together for him at the end. That's because God cares, cares right down to the last detail. 12 And since you know that he cares, let your language show it. Don't add words like "I swear to God" to your own words. Don't show your impatience by concocting oaths to hurry up God. Just say yes or no. Just say what is true. That way, your language can't be used against you. 13-15 Are you hurting? Pray. Do you feel great? Sing. Are you sick? Call the church leaders together to pray and anoint you with oil in the name of the Master. Believing-prayer will heal you, and Jesus will put you on your feet. And if you've sinned, you'll be forgiven—healed inside and out. 16-18 Make this your common practice: Confess your sins to each other and pray for each other so that you can live together whole and healed. The prayer of a person living right with God is something powerful to be reckoned with. Elijah, for instance, human just like us, prayed hard that it wouldn't rain, and it didn't—not a drop for three and a half years. Then he prayed that it would rain, and it did. The showers came and everything started growing again. 19-20 My dear friends, if you know people who have wandered off from God's truth, don't write them off. Go after them. Get them back and you will have rescued precious lives from destruction and prevented an epidemic of wandering away from God.